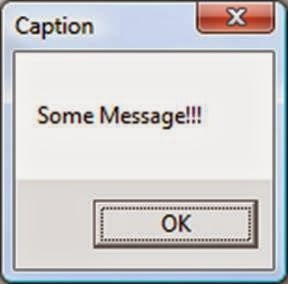 Message boxes are useful to show an error or warning to the user. Here I will going to post the way to show your own message into the popup window! No coding knowledge, tools are required! 2. Copy down below code and paste into the notepad file. You can replace the text which is placed in double quotes. MSGBOX "Hello Buddies! 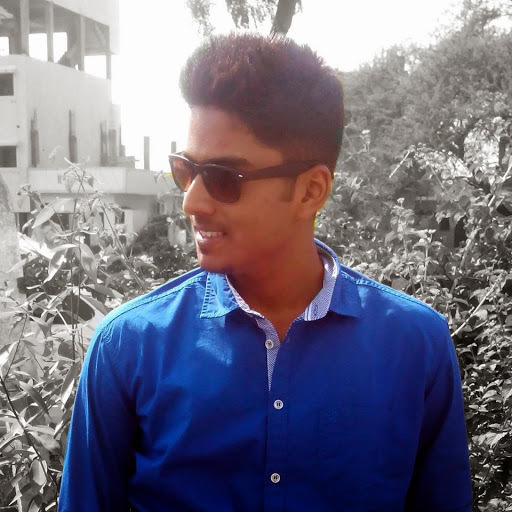 Welcome on FunWithTricks.Com!" 3. 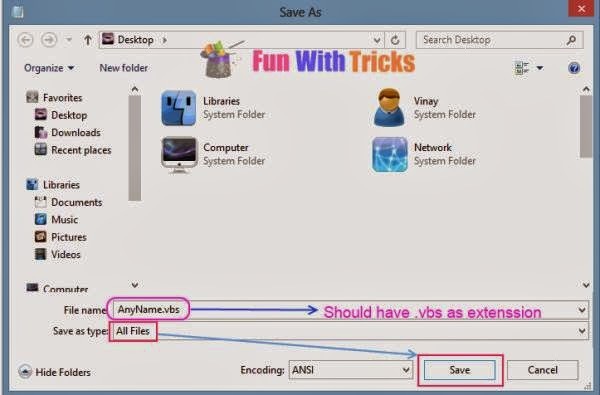 Save the file with .vbs extension, such as "anyname.vbs". 4. You should get the file as shown below. Double click on it to display your message with popup window!